While previewing lots and homes for a client last week, I was fortunate to get a behind-the-scenes look at a few Neal Signature Homes being built in Lakewood Ranch's Country Club East. Have a look at this new construction, in various stages from start to finish, in this fantastic luxury community! Check out the pictures of the two homes we saw in partial construction. The first is framed out and roofed, with the blueprint of the walls complete, so we were able to walk through each "room" and get the feel of the overall home's footprint. The second one we saw had drywall up and cabinetry ready to go in. I am the lucky listing agent of a gorgeous and modern Neal-built home. 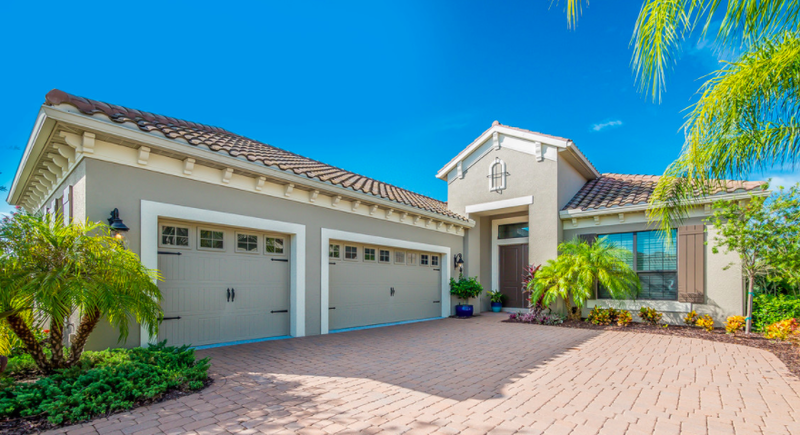 These homeowners worked with the builder and a designer to modernize the typically-more-traditional feel of homes in Lakewood Ranch, choosing streamlined finishes and modern fixtures. This is 14906 Castle Park Terrace. It is so interesting to see this process from start to finish, especially when the finished product is so stunning. For all of your real estate needs, including retreats away from downtown such like Lakewood Ranch, please give us a call!